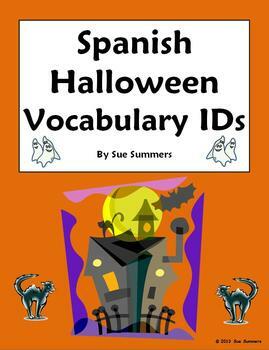 Spanish Halloween Vocabulary 18 Images to Identify - Halloween images include words such as bruja, momia, casa embrujada, dulces, linterna de calabaza and more. This is great for introducing and reviewing fun vocabulary when students are thinking about the Halloween holiday! 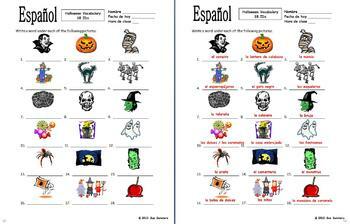 Please click here to see more of my Spanish Halloween materials. Spanish Halloween Vocabulary 18 Images to Identify - El Dia de Brujas by Sue Summers is licensed under a Creative Commons Attribution 3.0 Unported License.